Model Predictive Control (MPC) is a modern control strategy known for its capacity to provide optimized responses while accounting for state and input constraints of the system. This introduction only provides a glimpse of what MPC is and can do. In fact, MPC is a solid and large research field on its own. In the core idea of MPC is the fact that a model of the dynamic system (the vehicle in our case) is used to predict the future evolution of the state trajectories in order to optimize the control signal and account for possible violation of the state trajectories while bounding the input to the admissible set of values. The concept is shown in Figure 1. Figure 1: The basic concept of model predictive control as a model-based and optimization-based solution. Based on the concept of receding horizon, we derive the optimal sequence over N steps but we only apply its first element - the first optimal control move-action u*(t). At time t+1, we get new measurements/state estimates and repeat the optimization. Essentially, we exploit feedback to update the optimization over the time horizon selected to predict the future evolution of the system outputs. Prediction model is what describes how the vehicle is expected to move on the map. System Constraints is the set of rules to drive on roads, respect one-ways, don't exceed mechanical capacities of the vehicle. Disturbances are the driver's innattention and other reasons for uncontrolled deviation from the desired trajectory. Set point is the desired location. Cost Function may be the goal of minimum time, minimum distance etc. Figure 2: Car driving requires predictive thinking and optimal control derivation. 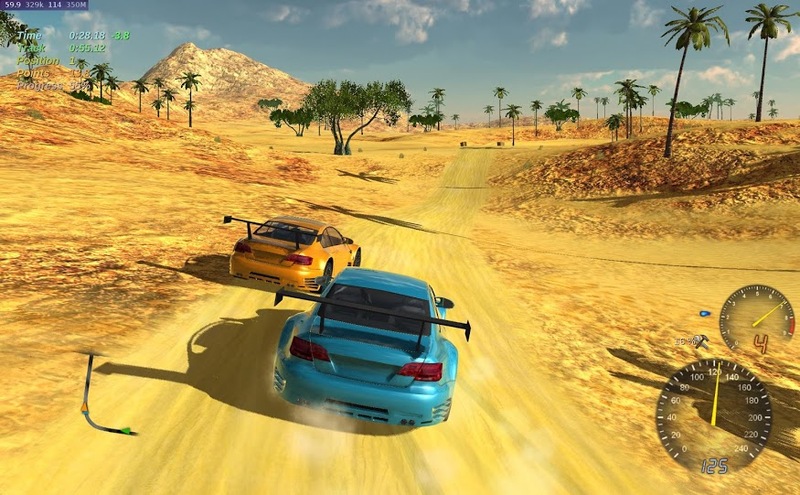 Image screenshot from "Stunt Rally". MPC relies on the provided model for its computations. In fact, the model selection has a major role regarding the computational complexity of the algorithm, its theoretical properties (e.g. stability). At the same time, the selected objective and imposed constraints also influence and define these properties. A good model for MPC is a model that is descriptive enough, captures the dominant and important dynamics of the system but also remains simple enough such that it allows the optimization problem to be tractable and solvable in real-time. Finding a good balance between these two requirements is a balance. A good model is simple as possible, but not simpler. Should -for control purposes- the system be captured with Nonlinear, Linear or Hybrid dynamics? What is the required -for control purposes- order of the system? And the derivation of its solutions can be accomplished using modern methods for Convex Optimization. Design, implementation and efficient execution of model predictive control is a very challenging problem that requires deep understanding of optimization methods and strong coding skills. However, the great success of the method lead to the fact that one can use advanced software tools to achieve this goal quite seamlessly. Although deep understanding is always beneficial, implementation of a single MPC may be nothing more than writing a very brief abstract program. An excellent tool is the "CVXGEN: Code Generation for Convex Optimization". CVXGEN generates fast custom code for small, QP-representable convex optimization problems, using an online interface with no software installation. With minimal effort, turn a mathematical problem description into a high speed solve. m = 2  # inputs. n = 5  # states. T = 10  # horizon. A (n,n)  # dynamics matrix. B (n,m)  # transfer matrix. Q (n,n) psd  # state cost. Q_final (n,n) psd  # final state cost. R (m,m) psd  # input cost. x (n)  # initial state. u_max nonnegative  # amplitude limit. S nonnegative  # slew rate limit. x[t] (n), t=1..T+1  # state. u[t] (m), t=0..T  # input. x[t+1] == A*x[t] + B*u[t], t=0..T  # dynamics constraints. abs(u[t]) <= u_max, t=0..T  # maximum input box constraint. norminf(u[t+1] - u[t]) <= S, t=0..T-1  # slew rate constraint.